Hamas says reason for postponement is Russian FM's busy schedule, but Israeli pressure apparently played a key role. 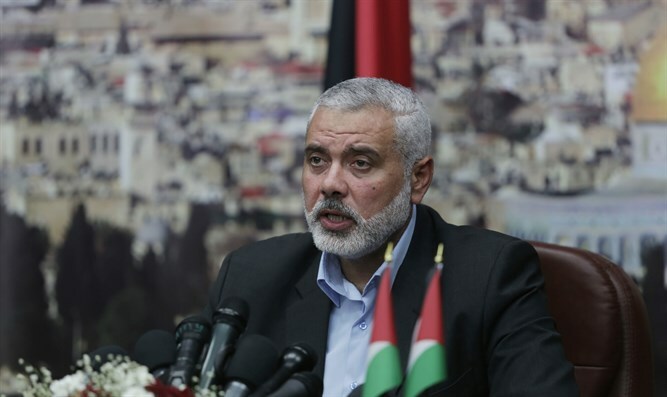 The visit of Hamas leader Ismail Haniyeh to Moscow, during which he was scheduled to meet Russian Foreign Minister Sergei Lavrov, was postponed indefinitely. The meeting, which was publicized two weeks ago, was expected to take place in Moscow on January 15. Hamas justified the postponement by the constraints of the Russian Foreign Minister Lavrov's schedule, but according to assessments, Israeli pressure to prevent the meeting from taking place was decisive in the postponement. The Palestinian Authority also expressed displeasure with the Russian official’s planned meeting with the Hamas leader, and even tried to thwart Haniyeh's departure from the Gaza Strip. Israel-Russia relations had become strained following the crash of a Russian plane in Syria which Russia blamed on Israeli fighter jets, but in recent months Israel has made considerable efforts to warm the relations between the two countries.